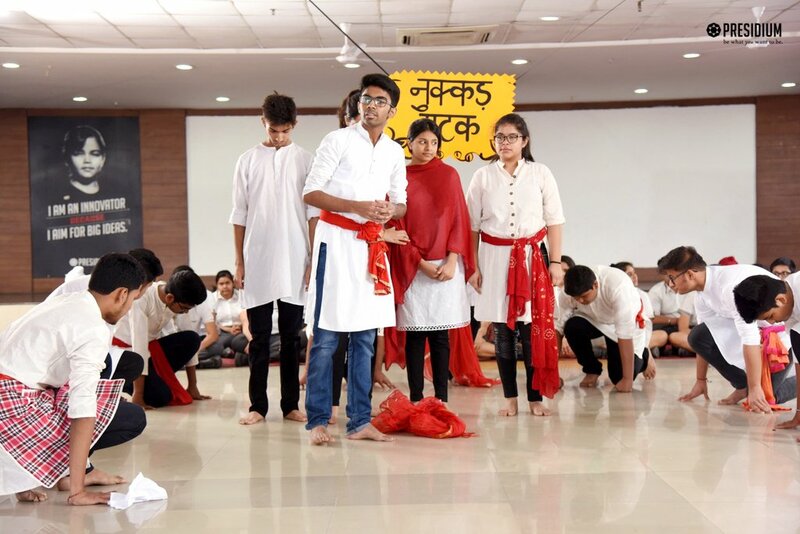 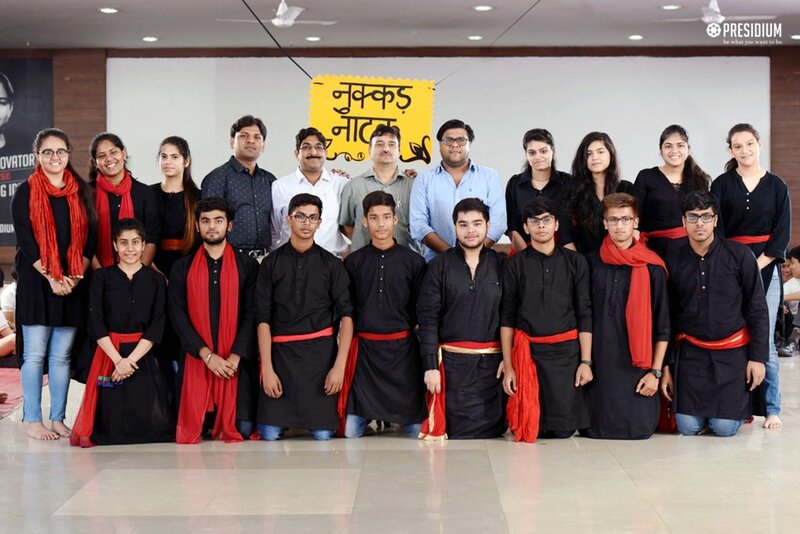 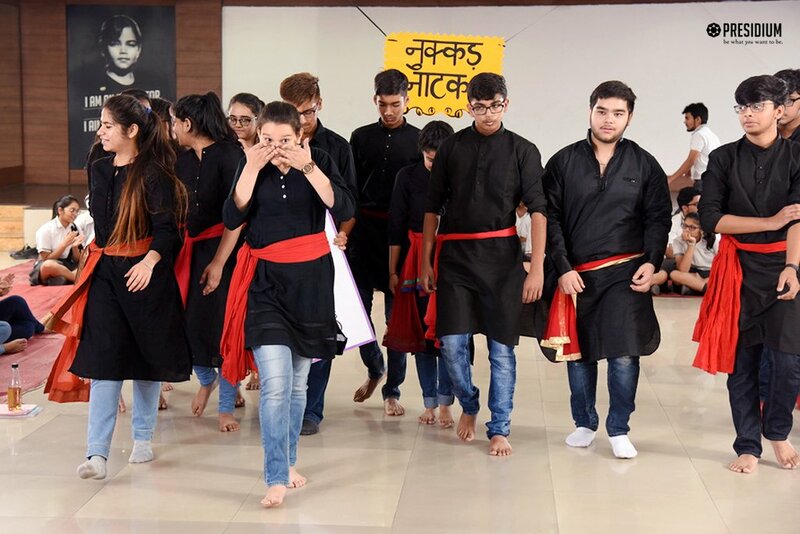 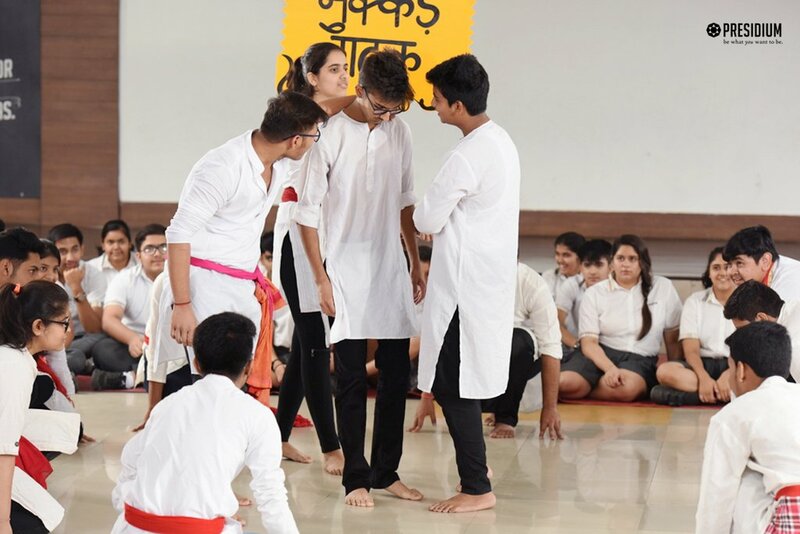 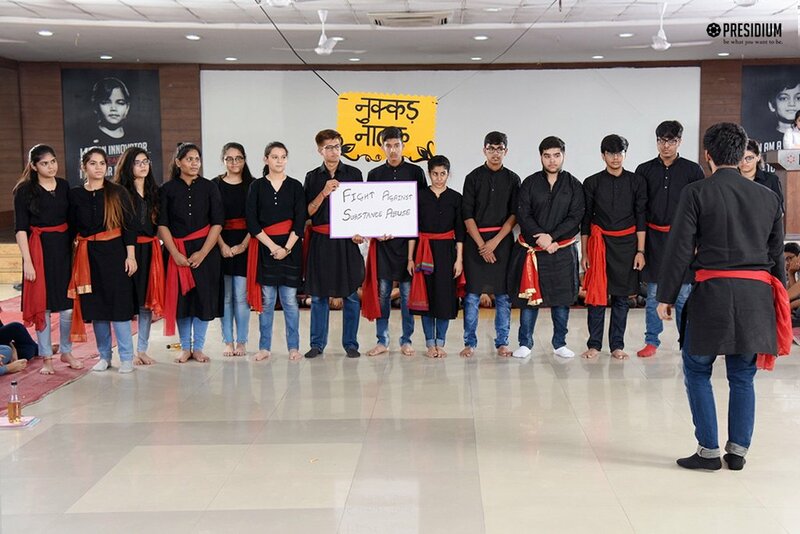 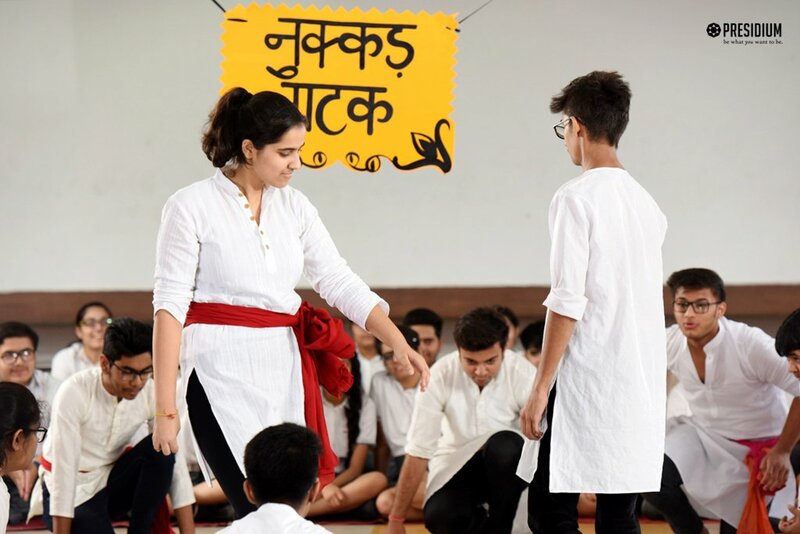 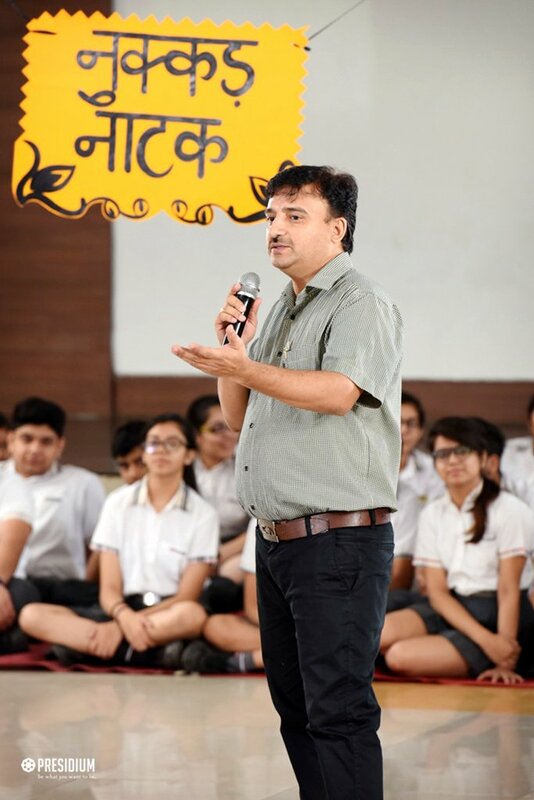 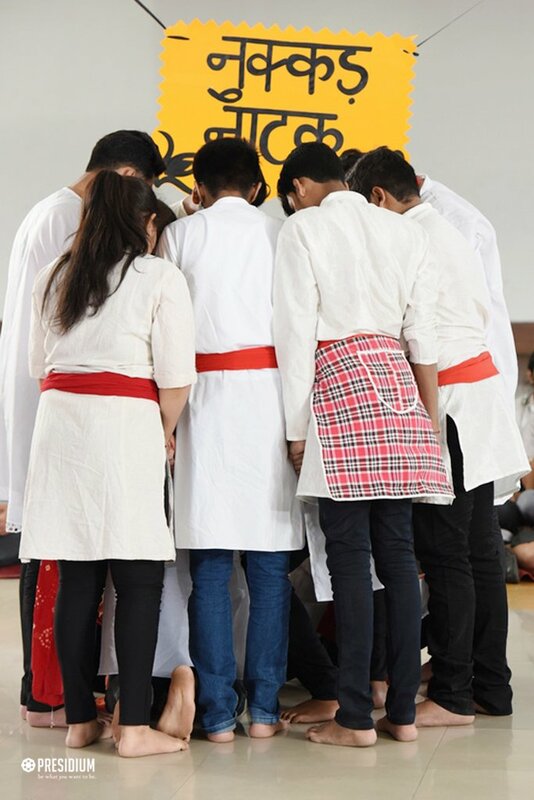 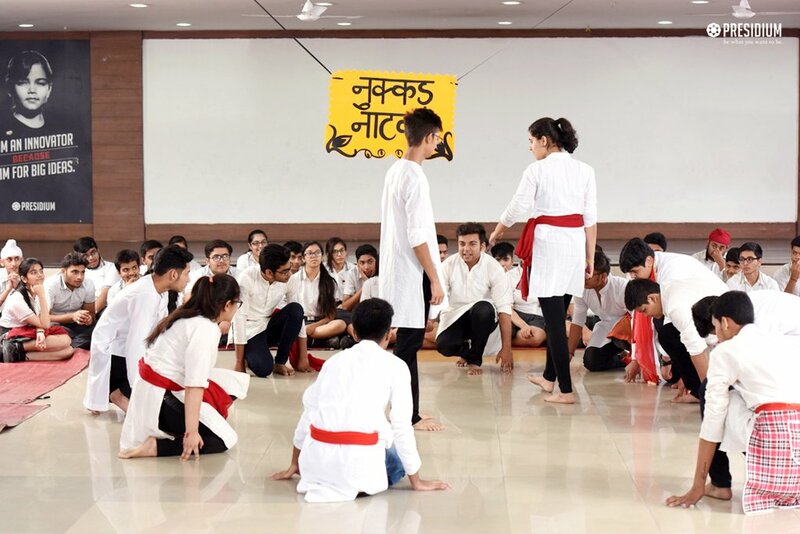 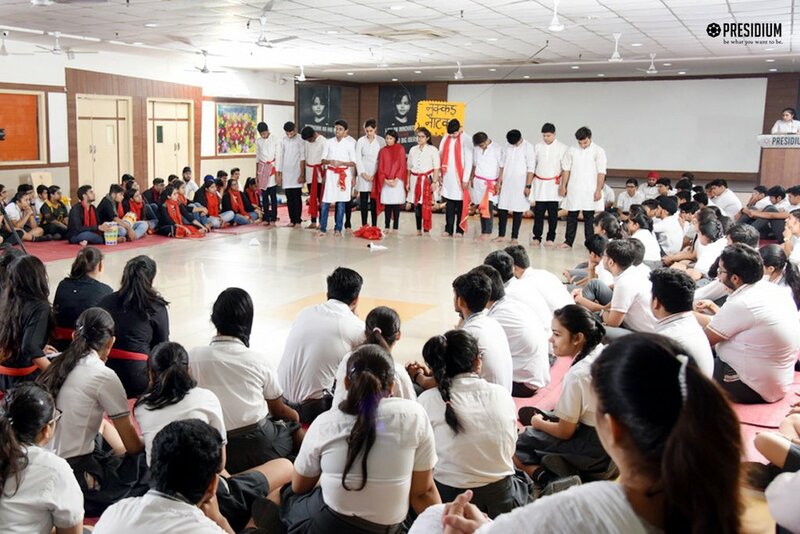 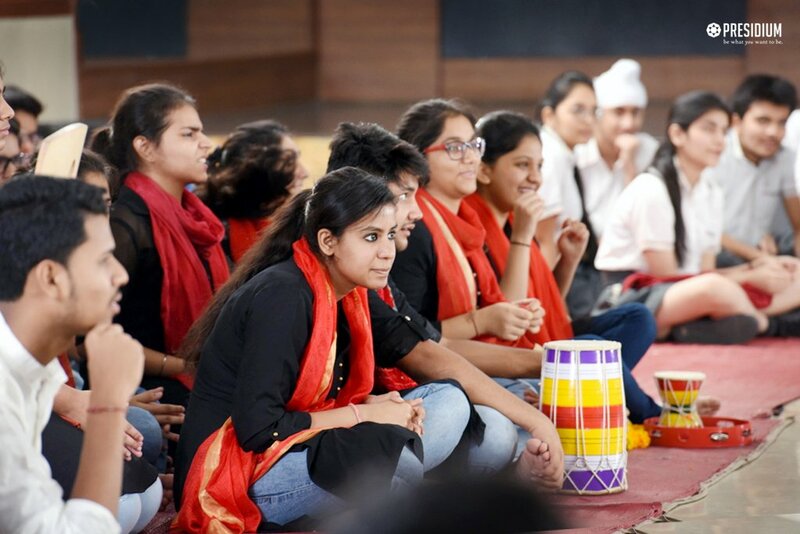 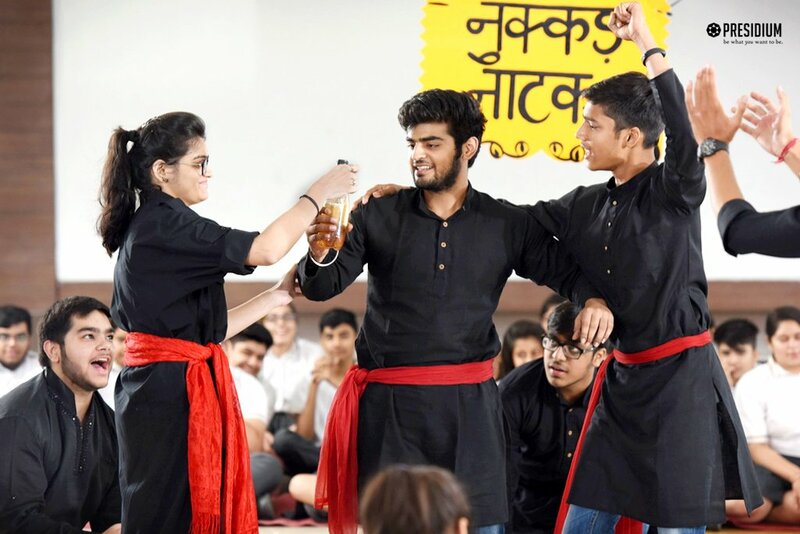 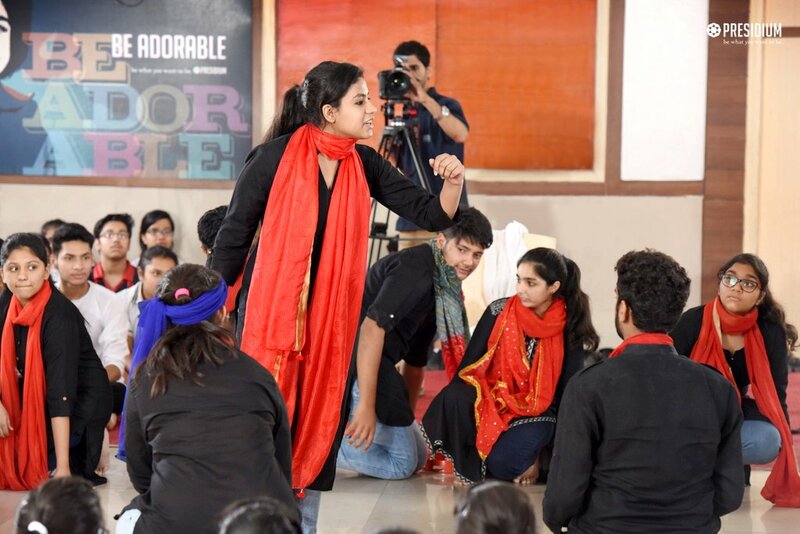 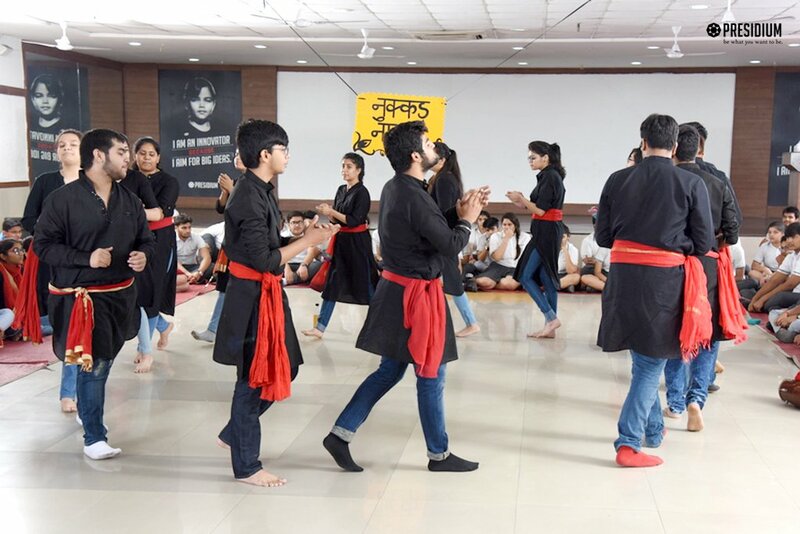 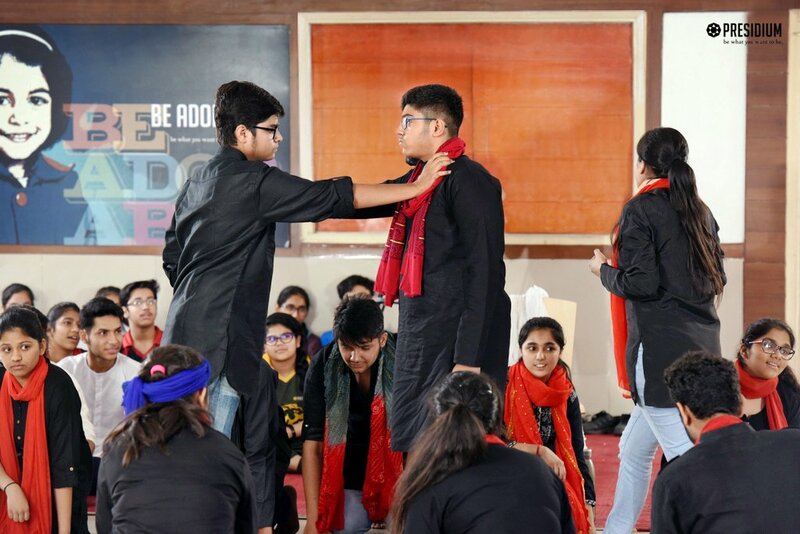 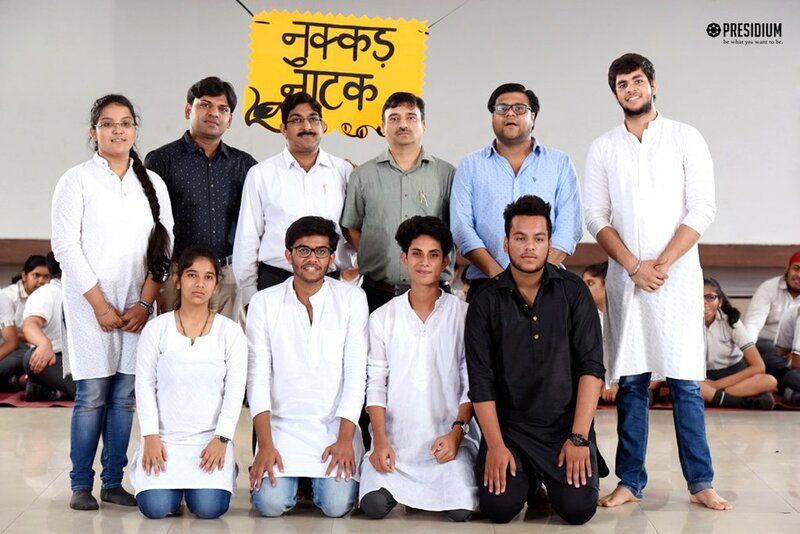 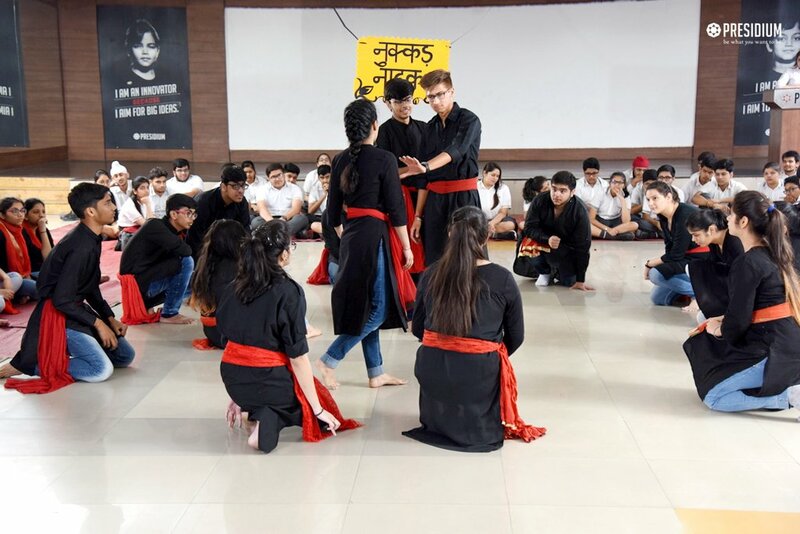 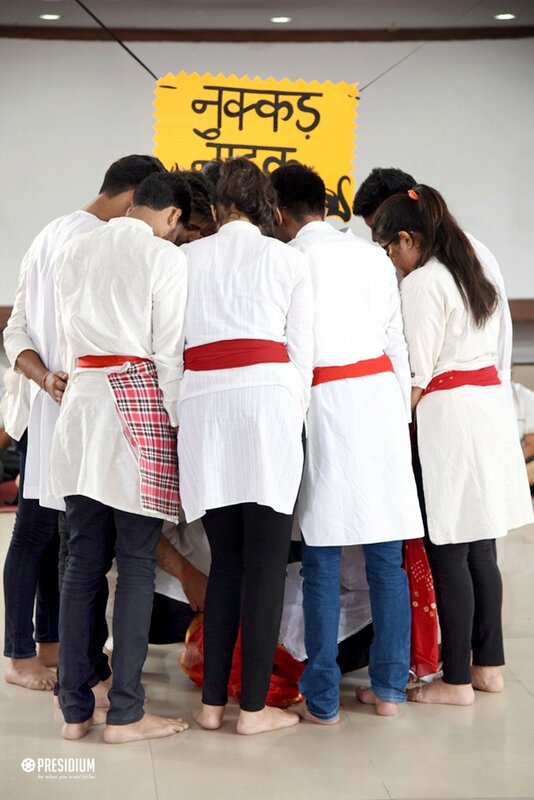 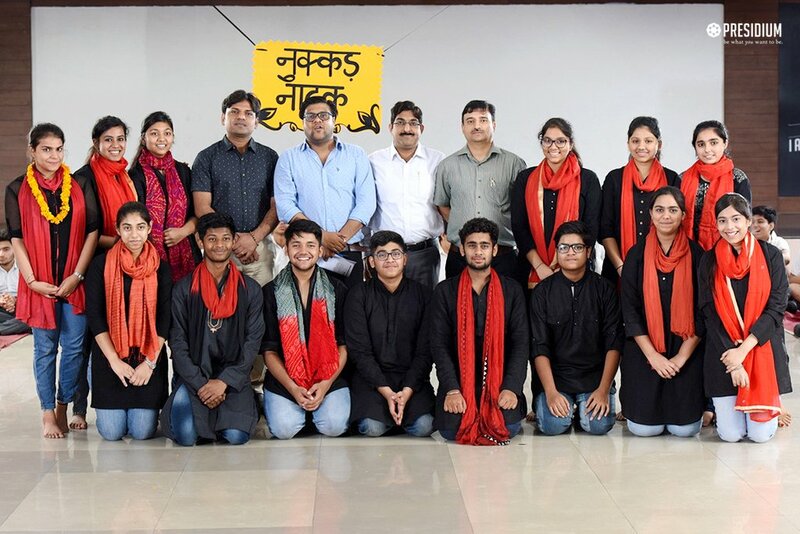 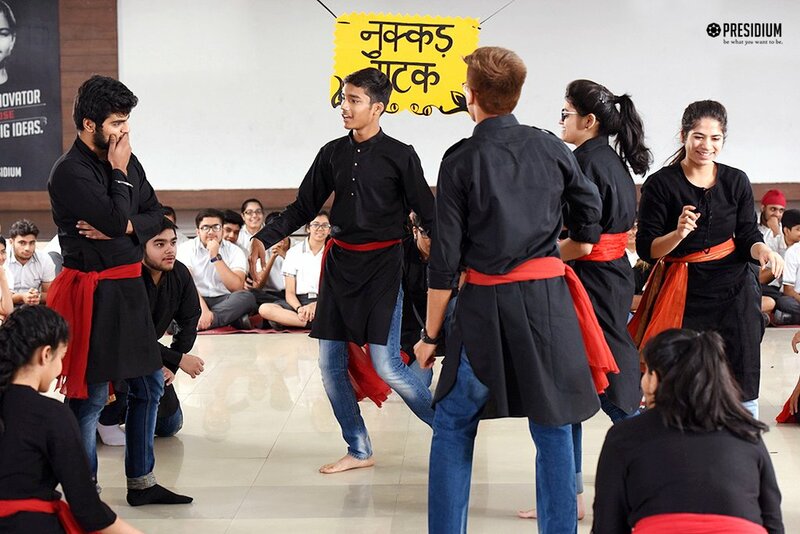 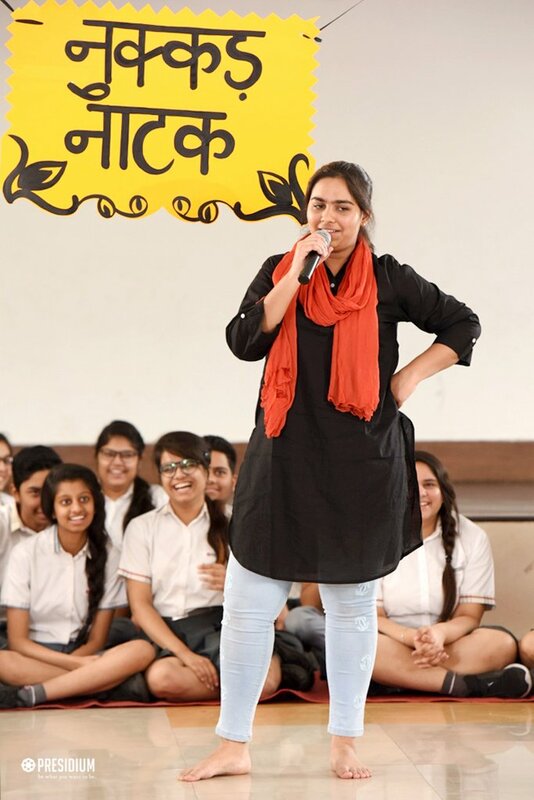 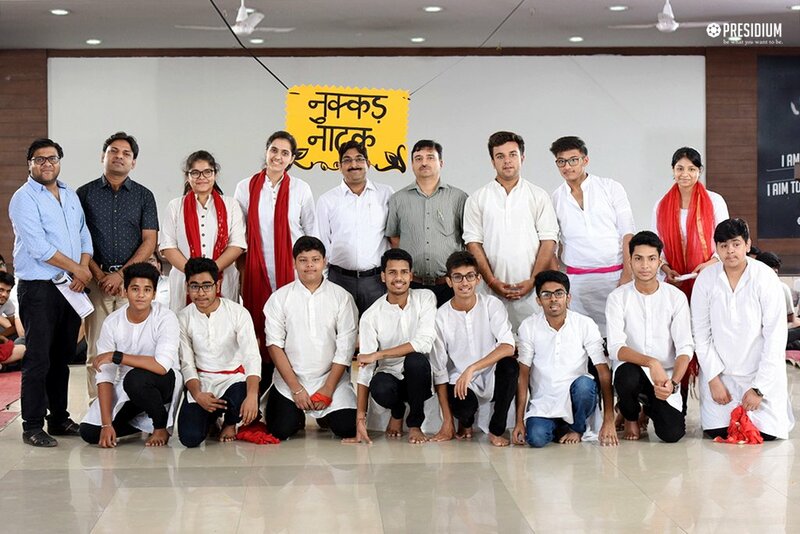 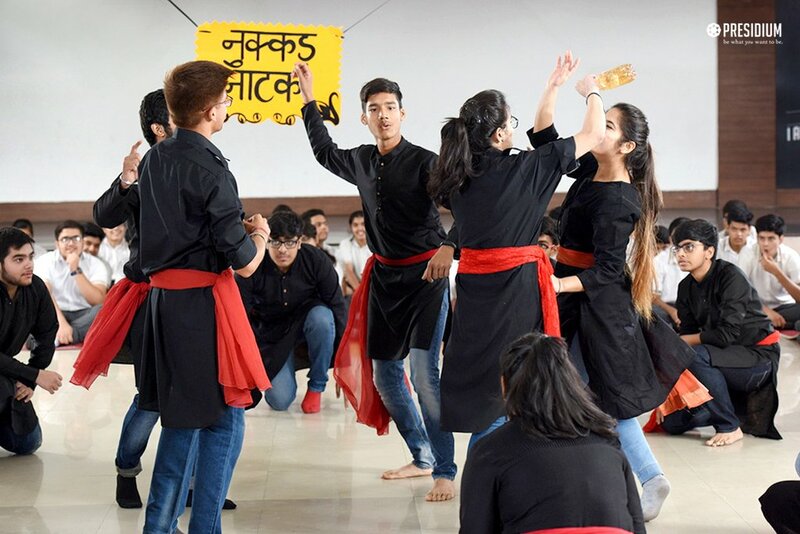 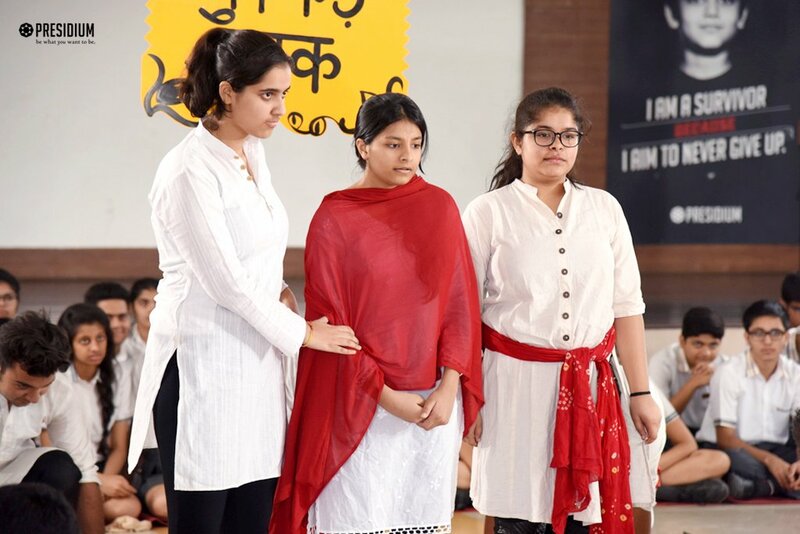 Proudly associated with our magnificent culture and history, Nukkad Natak is the oldest form of storytelling and was used in communicating and connecting with the general public on important issues. 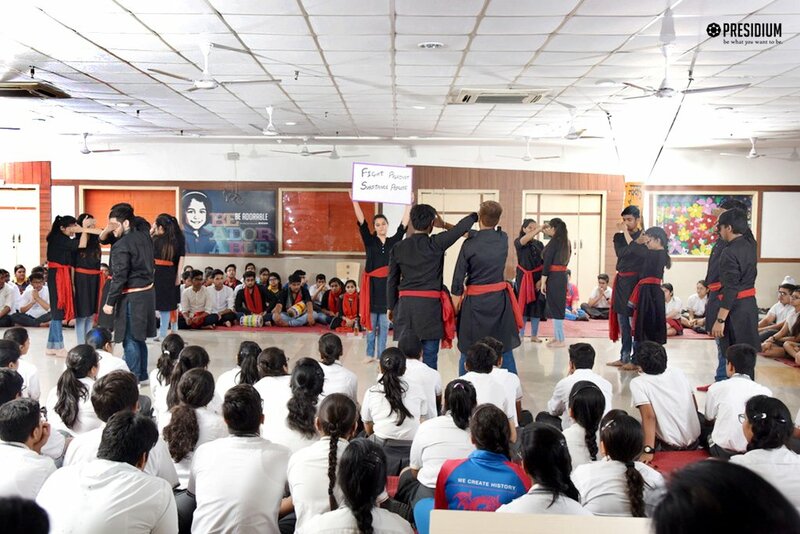 It is an important educational tool to sensitise the community on social issues like female foeticide, substance abuse, molestation and dowry. 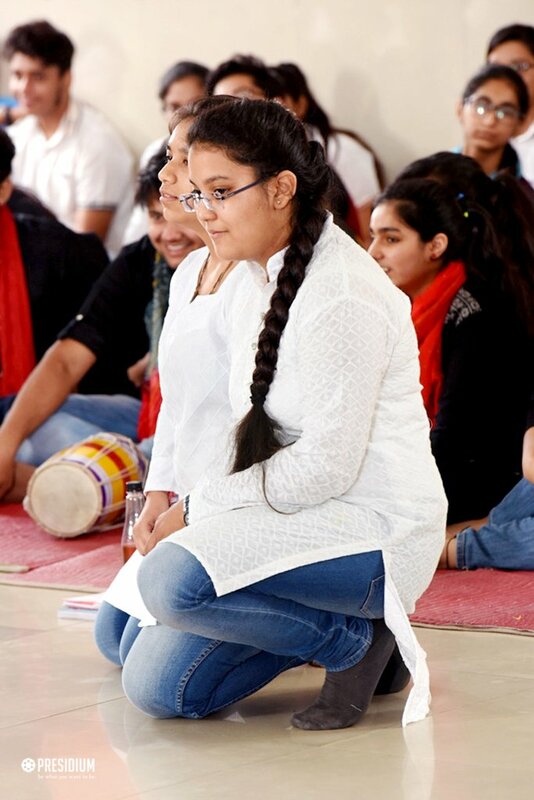 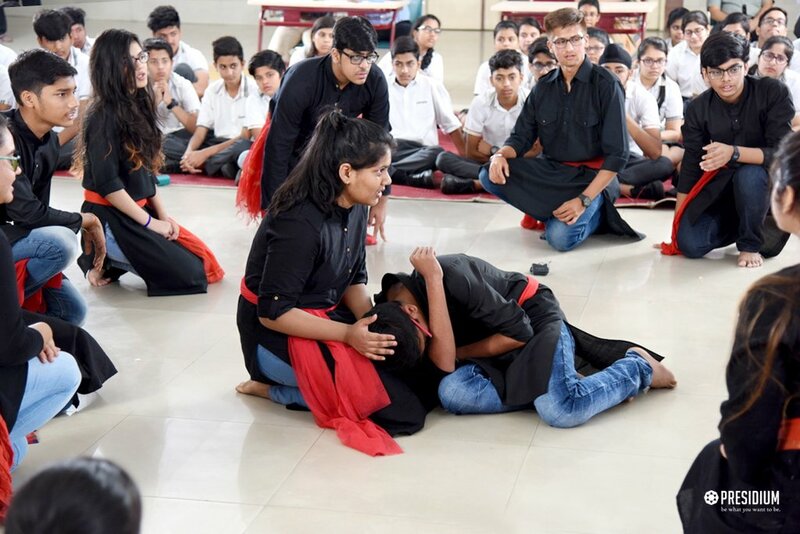 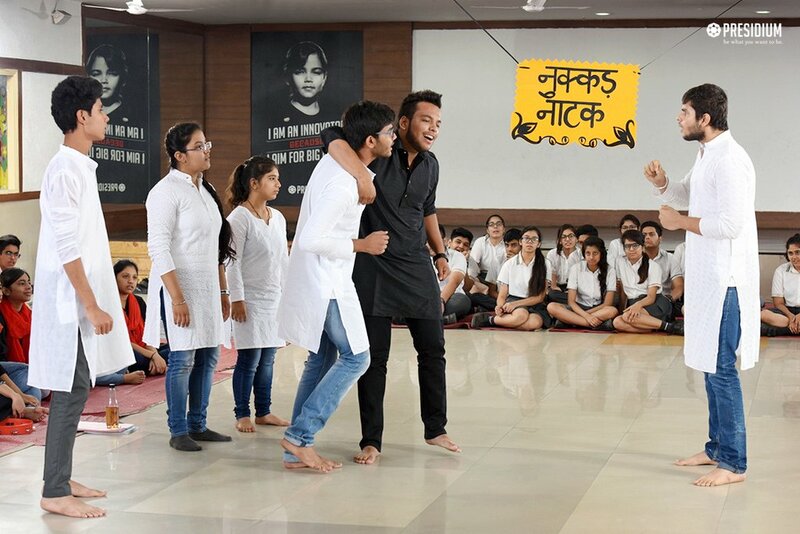 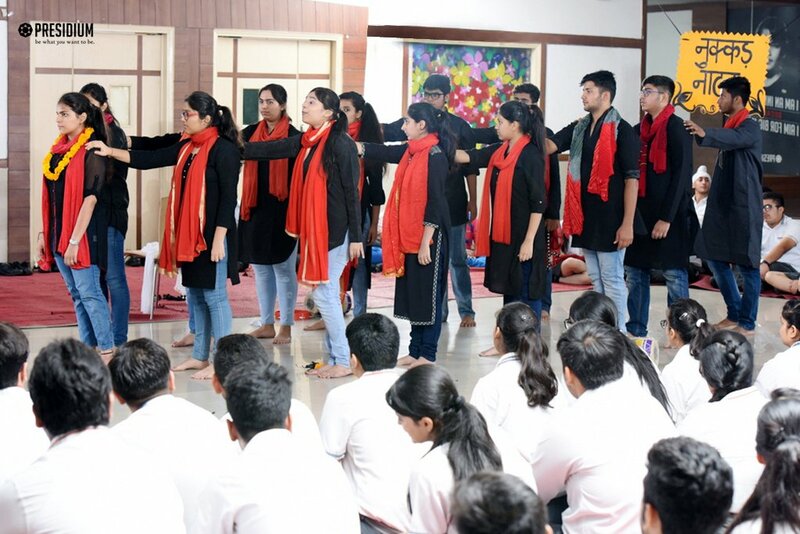 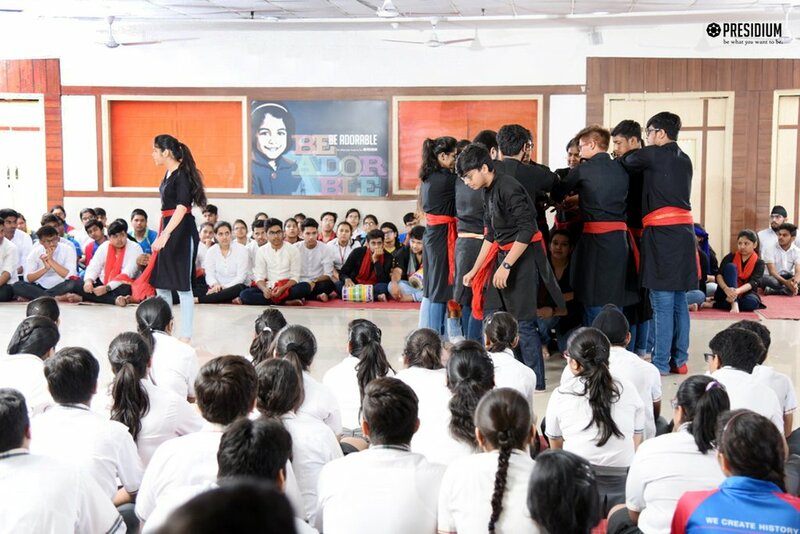 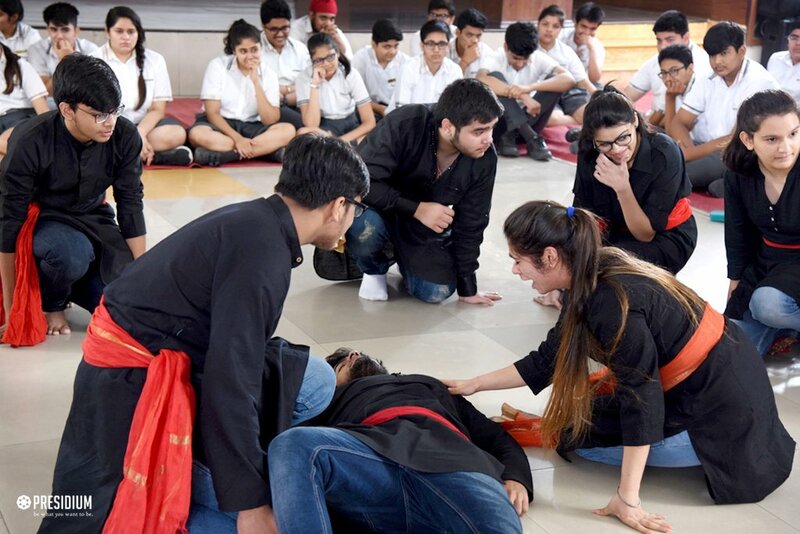 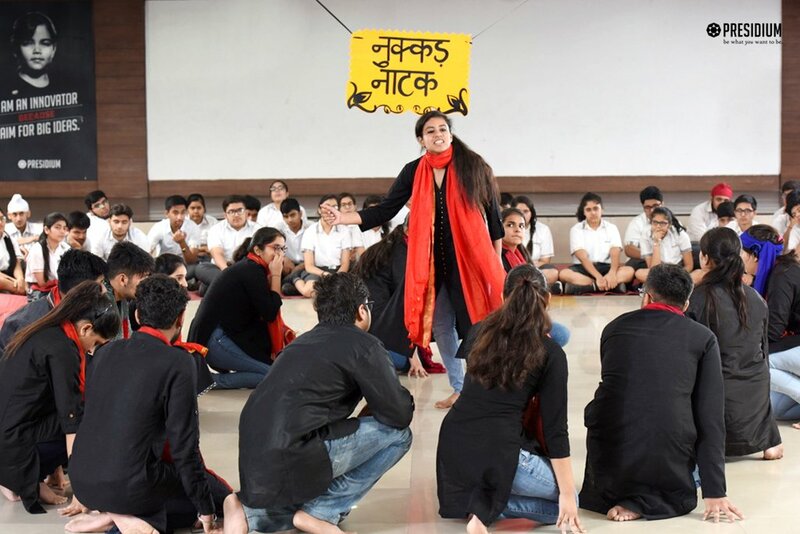 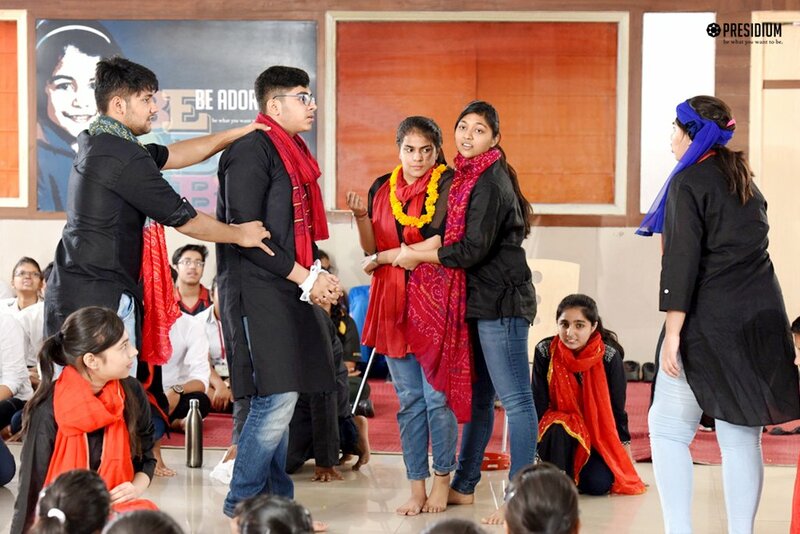 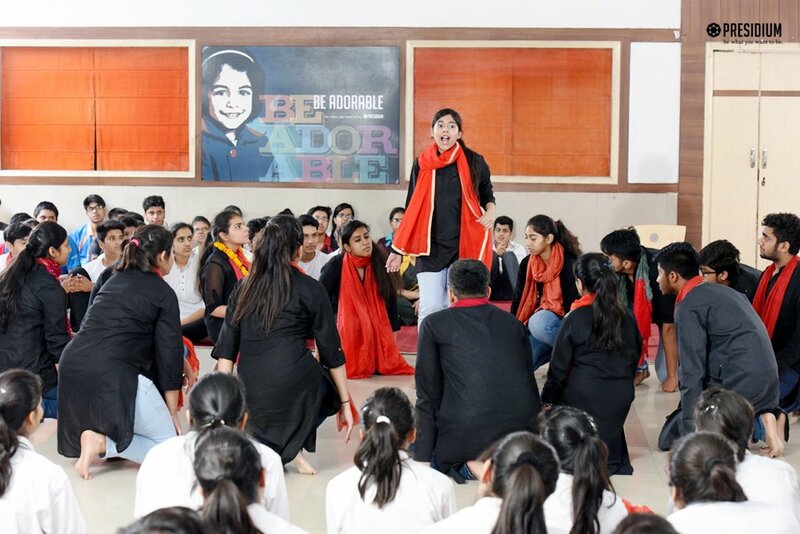 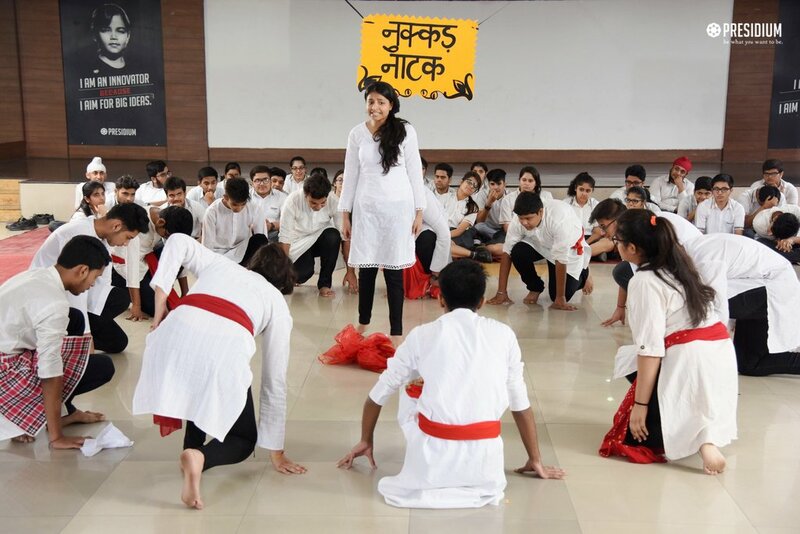 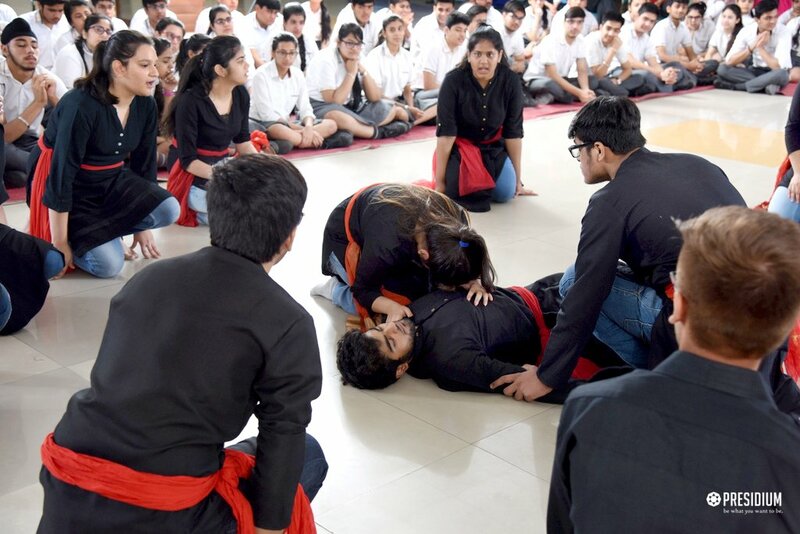 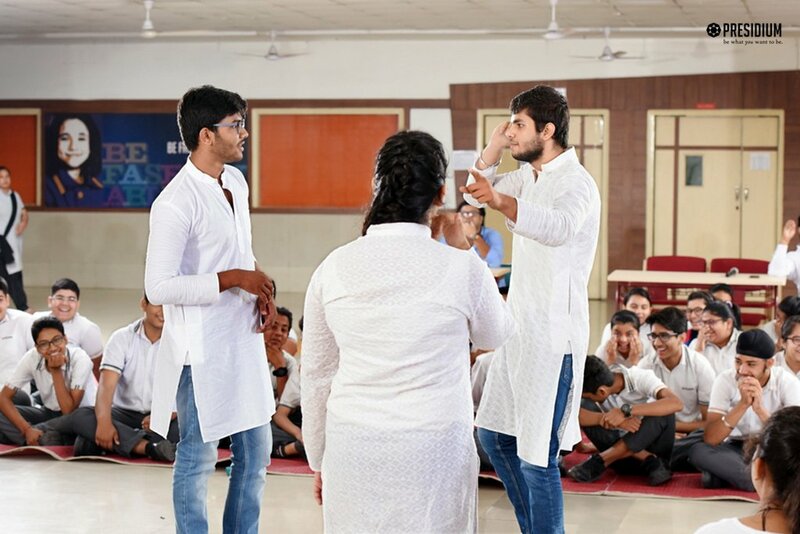 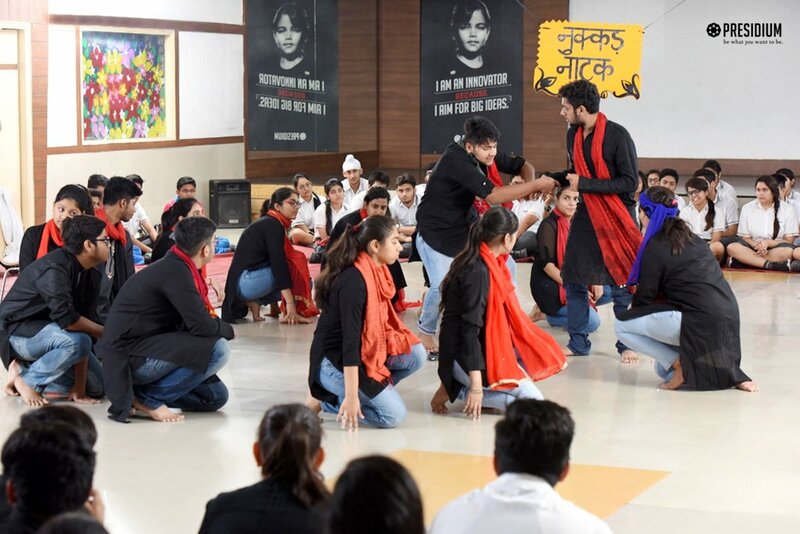 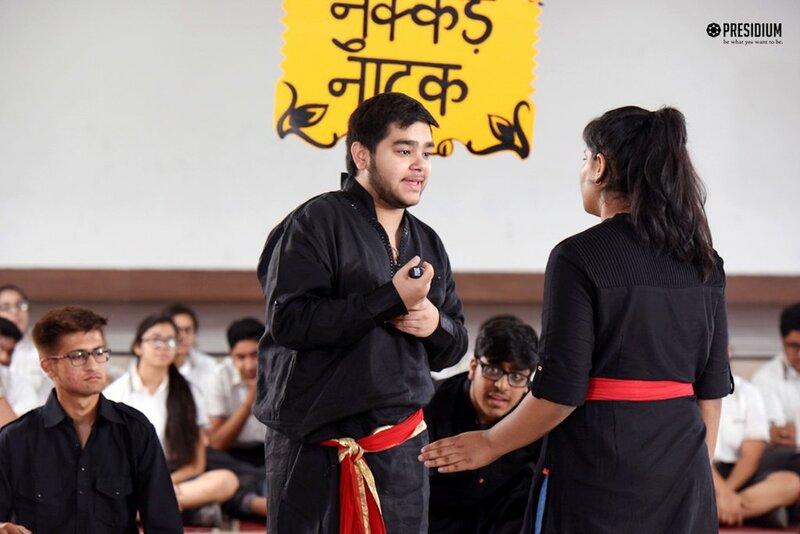 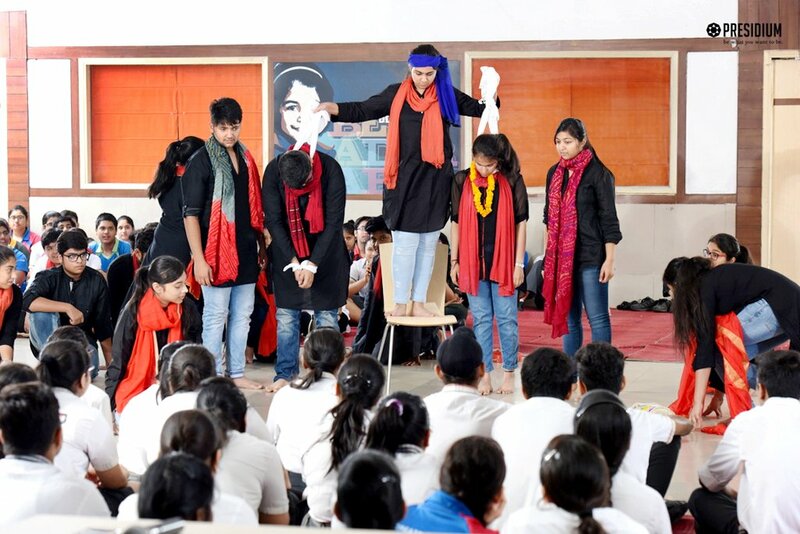 Presidians from Grade 12th decided to do their bit and presented an eye opening Nukkad Natak in their school premises. 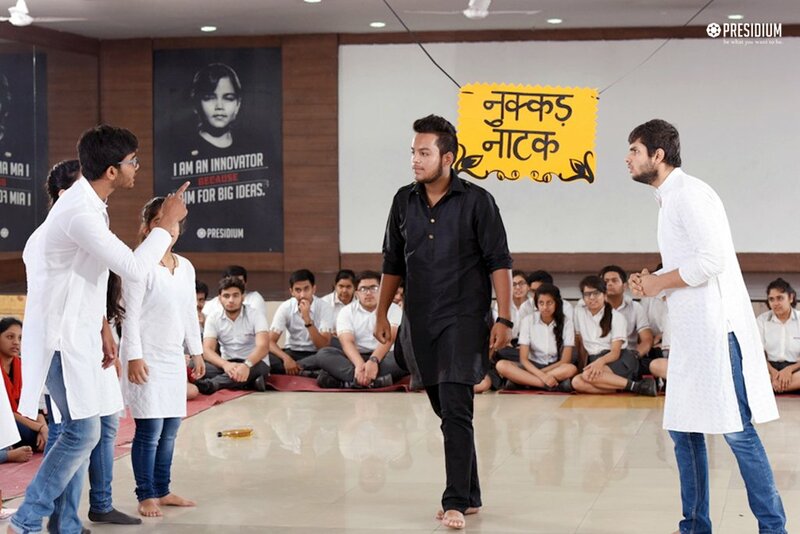 They brilliantly captured the issues affecting our society through their impactful and bold performances. 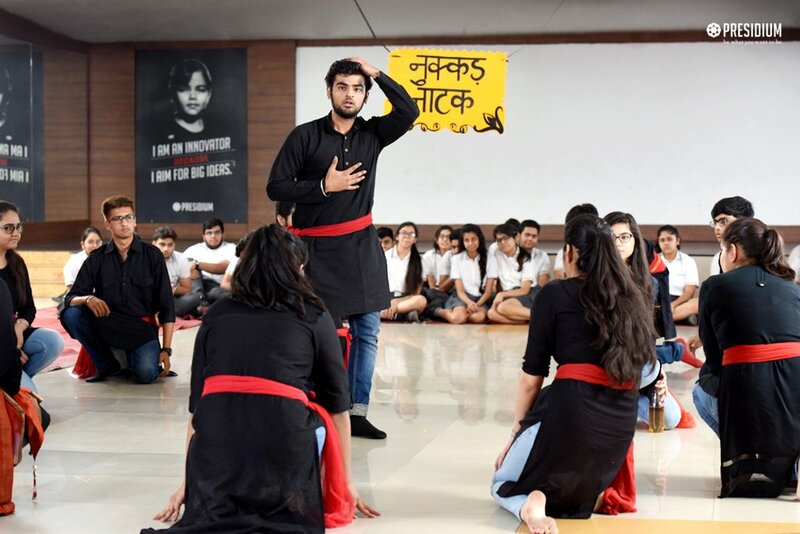 Conveying such hard hitting social messages in public spaces is a fine example of talent, artistry and unmatchable confidence. 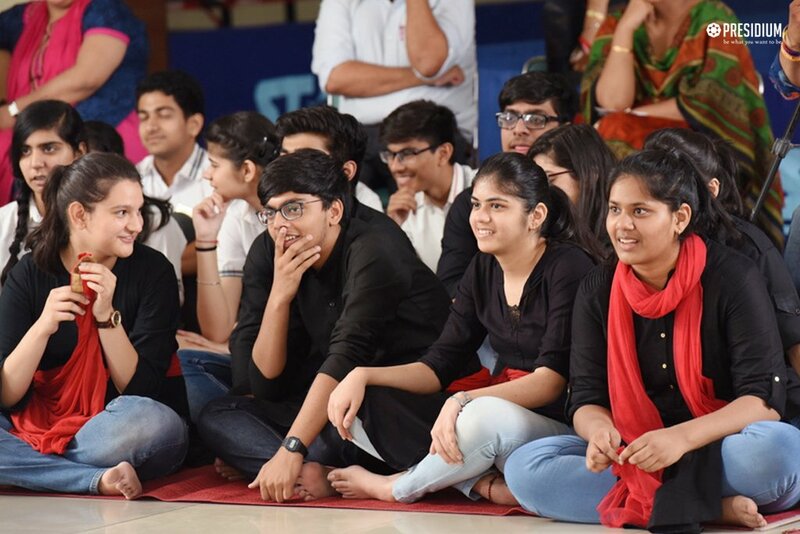 Bringing to light the different reasons responsible for the existence of such miserable issues in our society and how they can be eliminated, the young Presidians left the peers spellbound. 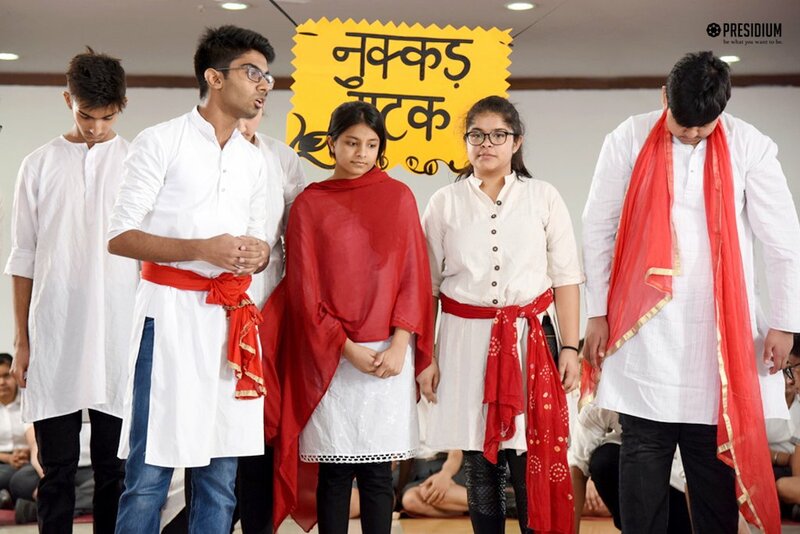 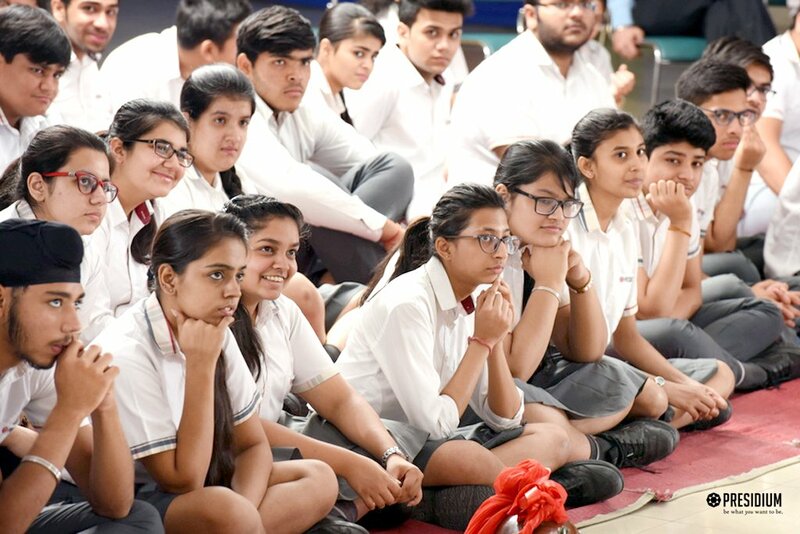 This thoughtful initiative by the leaders of tomorrow is commendable and sets an example of how the future generations can help shape an egalitarian social environment.